All-natural bacon sampler includes applewood and hickory smoked pork bacon along with our signature duck bacon. 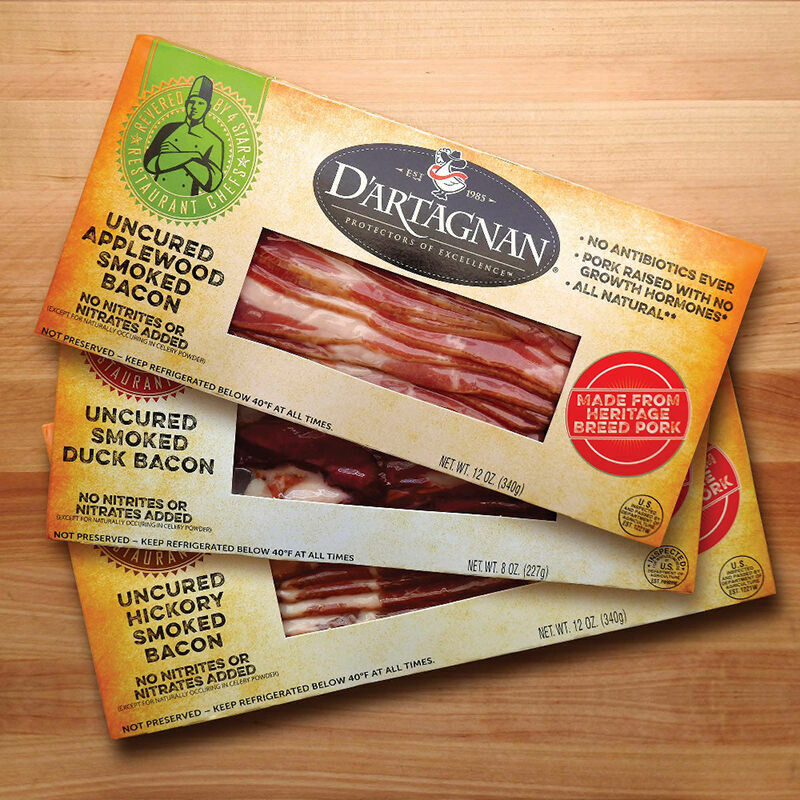 Our bacon is made without nitrates, nitrites or preservatives, and smoked over real wood. This tempting sampler serves as an introduction to our bacon line, but also makes a perfect gift.